You know how it happens. Your plan an Love Story session for a beautiful sunny day, hoping that it will be just as you envisioned it. And in the middle of the shoot, it starts to rain. In your head you think: "Oh, no, my hair is going to be ruined! The pictures are going to be awful!" And this is when we come in to help you out. As a photographers, we have to be prepared for everything. We live in Canada, and we know how weather could drastically change in the matter of seconds and go through all the seasons in one day. 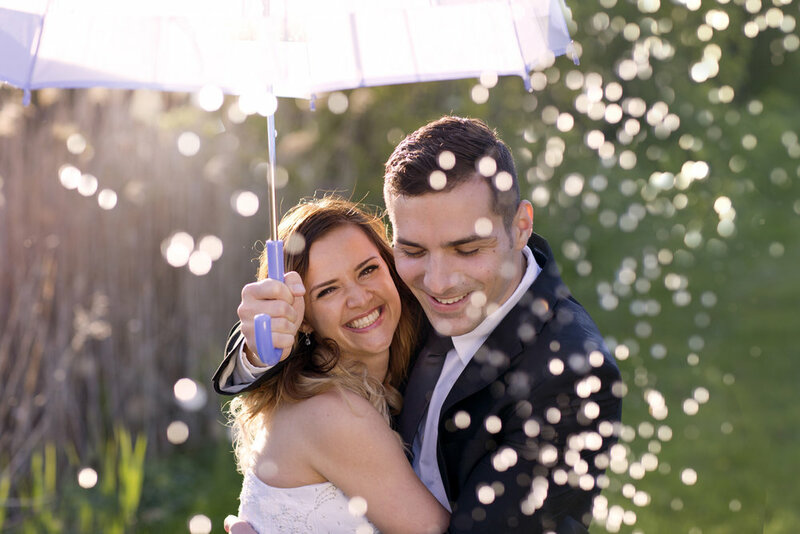 So no matter if meteorologists said that the day will be sunny, with no rain, we will have an umbrella for you and take beautiful portraits of you in the rain. Even if it's just a little rain during the sunshine. So, don't worry, you will look beautiful no matter the weather.